Victra’s email marketing journey began the same way it does for many brands: with one-size-fits-all email creative. They turned to Movable Ink and Persado to stay innovative and provide better experiences for their loyal customers. Want to see Victra’s email evolution? Download the case study! The results blew them away: The Victra team saw a 92% lift in engagement with visual, relevant, content, including device detection, location targeting, and a live Instagram feed. 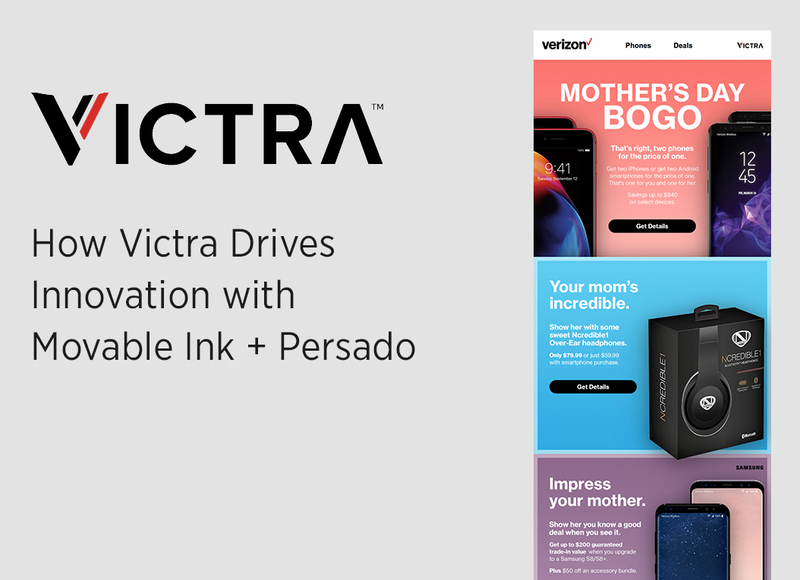 But Movable Ink and Persado aren’t just driving results in Victra’s email program. The teams are helping them gain a competitive edge and better serve their guests. Download the case study and see the results for yourself. This entry was posted in Case Studies, Partners and tagged case study, partner, persado on August 1, 2018 by Kristen Dunleavy.